While the Nespresso system delivers a well-needed shot of innovation to the coffee industry, not all machines are created equal. 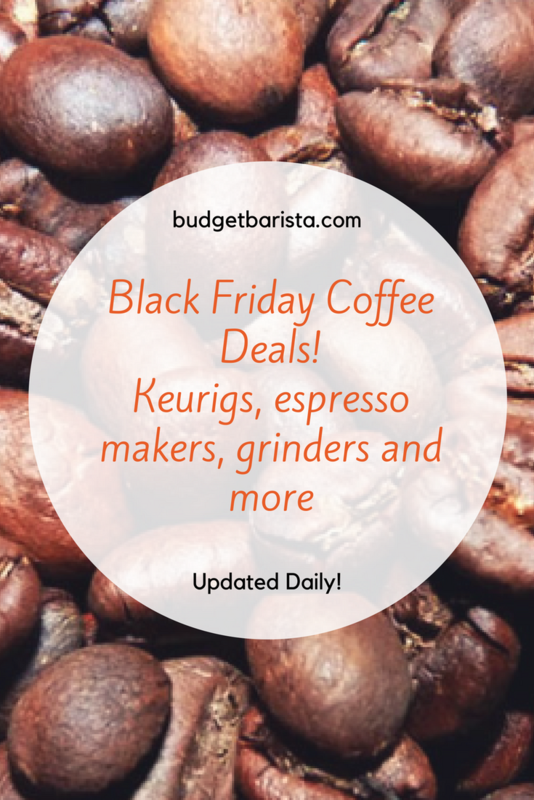 If you want to make great coffee drinks and espresso on a budget, you’ll want to be sure to get the best possible machine. This guide will help you figure out which Nespresso fits the bill. The first thing that you’ll notice about the Inissia is that it is sleek. This is perhaps the most compact Nespresso that we’ve found, and this European-inspired design makes it a great choice for people looking for an office coffee maker or trying to save counter space. As you can expect, this sleek design comes with an emphasis on simplicity. Instead of coming with a wide variety of settings, this one brews espresso and lungo without much emphasis on other brewing techniques. If you have an Aeroccino or other frothing method, you can make a latte or cappuccino with it. That being said, the espresso that comes out of the machine is high-quality enough to satisfy without frothing-frills. 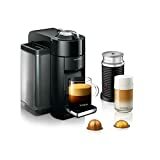 Overall, this is a great budget and compact choice for customers who want a “baseline” Nespresso machine. People new to Nespresso really can’t go wrong with it. If you want something more advanced, however, you may want to look at one of our more expensive recommendations. The Nespresso Vertuoline offers more features than the original product line?. With a Vertuo machine, you can brew a normal cup of coffee, helping many Keurig-lovers overcome their resistance to the Nespresso machine. That being said, this comes with a price. In the past, Vertuo machines have brewed coffees and espressos to the specifications of a cup of coffee. By reducing the temperature, they’ve sacrificed the flavor and crema-extraction that are essential to espresso brewing. This impact is definitely noticeable with the VertuoEvoluo, even with the machine’s boasted automatic blend recognition. 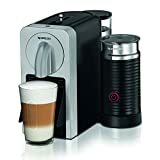 But while the baseline espresso you get will have less crema, this is still a great set-up for anybody who wants to make a latte or a cup of coffee. While it comes with the baseline quality you can expect from a Nespresso machine, the Pixie is a hard one to fall in love with. That’s because it is neither rich in features like more advanced models nor as sleek-and-cheap as the Inissia. The result is somewhat of a Frankenstein’s monster. The Pixie attempts to straddle the line between an expensive machine and a cheap one. This isn’t to say that it’s necessarily bad. But it is to say that, if you’re considering buying the Pixie, you can do better in either direction. This is often the case with “middle-of-the-road” devices of any brand. If you’re a tech-savvy coffee person, then you’ll love the Nespresso Prodigio with Milk. The device can connect via Bluetooth to a smartphone app, allowing you to stay up-to-date with the needs of your coffee maker. Using this device, you’ll be able to schedule brewing, know when to descale your coffee maker, and order more capsules. I love cool features like this. There’s something great about putting your cup in position before bed and waking up to a fresh espresso. That being said, these features only appeal to a certain subset of Nespresso consumers. If you didn’t feel the need for these features, is the Prodigio worth it? There are certainly benefits. For instance, it comes with the Aeroccino milk frother and offers an adjustable tray for different drink sizes. But it also has downsides: the Prodigio is an original line machine, and isn’t compatible with Vertuoline capsules. This means that you won’t be able to brew Vertuo-exclusive pods designed for coffee, but you’ll also avoid the water temperature problems the Vertuoline is notorious for. If you’re a tech person who wants to make a latte, this is a great choice. But not everybody needs this device, and there are certainly others that are more worth it, such as the Lattissima Plus or Inissia. The Nespresso Lattissima comes in two forms: the plus and the pro. While the Pro offers several unique features bound to impress high-end coffee lovers, it comes with a steeper price tag. In terms of size, the Pro has a slightly larger water tank and used capsule dispenser. These things may seem important, but they really shouldn’t be primary points when buying your Nespresso: refilling your water tank regularly should be an expectation of brewing, and you shouldn’t be filling the used capsule dispenser to the brim before throwing it out anyway. Unless you have an office set-up, it doesn’t matter. What does matter is the fact that the Pro comes with plenty of convenient features like semi-automatic cleaning and one-touch operation. On top of that, it has seven programmable brewing buttons compared to the four on the plus. On top of the plus’ buttons for espresso, cappuccino, macchiato, and lungo, the Pro has buttons for ristretto, warm milk, and hot water. Both devices have great designs and come with a steeper price-tag than the budget machines. That being said, the Pro is probably more worth it than the Plus, based on its additional features. The Nespresso CitiZ is sleek and advanced for its size and price-range. And while it may not come with the many customizable buttons of other machines, it makes up for it with a 19-bar pump extraction system that works for a variety of espresso blends. When used with a milk-frother, the CitiZ offers plenty of options for customizable espresso drinks. It also features a sleek-design. It has a few downsides. It’s even louder than other espresso machines. If you have children or roommates, beware of using this on an early morning. If noise is a problem, the VertuoPlus by Breville offers a much quieter solution. While other Nespresso machines are prone to loudness, the CitiZ’ noise problem is somewhat unique. On top of that, it is a bit more expensive than other two-option Nespressos. Still, the CitiZ is a nice machine that anybody can enjoy. 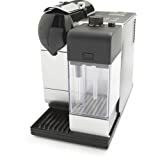 Automatic Coffee/espresso maker: Espresso VertuoPlus offers the latest innovation from espresso with an all-new design and colors to complete the perfect single-serve coffee or Espresso cup experience. Designed for Espresso Vertuo capsules only. 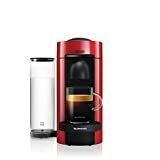 Smart Coffee maker: brew the perfect single-serve coffee or Espresso drink time after time, thanks to espresso's Centrifusion (TM) technology using barcodes to deliver the best in-cup results including the perfect crema for large Coffee cup sizes. Simply insert the capsule and enjoy freshly brewed Coffee or authentic Espresso. Complimentary gift: Each machine includes a welcome kit with a range of Vertuo capsules with unique aroma profile. Barista grade: brew different single-serve coffee cup sizes at the touch of a button depending on your coffee needs - Espresso (1. 35 oz. ), double Espresso (2. 7 oz. ), Gran Lungo (5 oz. ), Coffee (7. 7 oz. ) and alto (14 oz. ). Pour over ice to create your favorite Iced Coffee drinks. One of the best things about Nespresso is its centrifusion technology. The incredibly rapid spinning of the pods make it a far more effective method of brewing than other pod-based coffee makers. That being said, centrifusion isn’t perfect. Many Nespresso machines are incredibly noisy. The VertuoPlus is one of the only to offer ultra-quiet brewing: perfect for apartments or offices. It also comes with the patented brewing technology associated with other vertuoline products. But this comes with some problems: when using the VertuoPlus, be aware of the impact of the lower brewing temperature on espresso quality and crema. This is one of the cheaper models available, making it a decent budget model. But perhaps most Nespresso-seekers would be better off getting a slightly higher-end machine, such as the Latissima Plus or Pro . You’ll never be able to brew a perfect Barista-style drink, complete with Latte art, using an espresso machine. But some machines can get you closer than others. In particular, the Creatista Plus can get you pretty darn close. The creatista plus comes with 7 programmable beverage options. The auto-frothing technology on the machine creates better beverage milk than the typical Aeroccino. It also comes with a wand that’s perfect for making latte art at home. You have a lot of control over milk density using the device’s LCD screen. It also comes with great conveniences like assisted cleaning. As you can imagine, this power makes for a more expensive device. This is definitely not a budget Nespreso. That being said, if you’re looking for a gateway machine to more professional-quality espresso machines, the Creatista plus is a great choice. The Original and Vertuoline Nespresso products are both great choices for people looking to move past the Keurig and get a better smart-brewer. That being said, there are some differences between the machines. The most obvious is that the Vertuoline can brew normal cups of coffee along with espresso. While you can make a Cafe Lungo or Americano without noticing the difference, people who particularly prefer a cup of American-style coffee will love this choice from the Vertuoline. Vertuoline machines also tend to be larger than the Original Line. They brew coffee at a lower temperature, thus sacrificing some of the necessary extraction for espresso to gain coffee functionality. Some newer machines in the Vertuoline adjust brewing temperature using capsule barcodes to avoid this problem. Vertuoline espresso makers tend to be a lot larger than the Original Line. In both cases, Nespresso machines come in all different shapes and sizes. The most compact model on this list is the Inissia. Compact espresso machines are better for the office or your apartment. That being said, there is rarely a trade-off between size and espresso quality, so you can get a good brew from a machine of any size. All Nespresso machines come with the ability to brew a cup of espresso or lungo. However, a number of models come with additional capabilities. VertuoLine machines can brew regular cups of coffee, and some Nespresso models can brew more advanced espressos such as Ristretto and Macchiato. Some higher-end models come with self-cleaning functions and the ability to detect when the machine needs descaling. On top of that, getting your machine with an Aeroccino milk frother further enhances its functionality. The price of a Nespresso machine will depend on its age and features. You can expect to pay anywhere from $100 to $600 for your machine. A more expensive machine will come with more features. But it isn’t necessarily better: consider your needs when picking a machine, and let the price range follow. Nespresso machines tend to be more stylized and expensive than Keurigs. But the difference between the two brewing setups is about more than just the looks and price-tag on both machines. Nespresso machines offer more brewing settings and tend to be better at extracting flavor from a cup of coffee. It also offers a “smarter brew,” with many machines reading the barcodes on capsules to adjust their brewing settings. This makes a more advanced, extractive, and customizable smart-brewer. That being said, you can also use a Keurig to create things like tea and even soup, which is not an option with a Nespresso machine. While the Ninja Coffee Bar has customizable settings like a Nespresso brewer, it does not use smart pods. Instead, you’ll have to buy your own beans to brew a cup or pot of coffee with it. 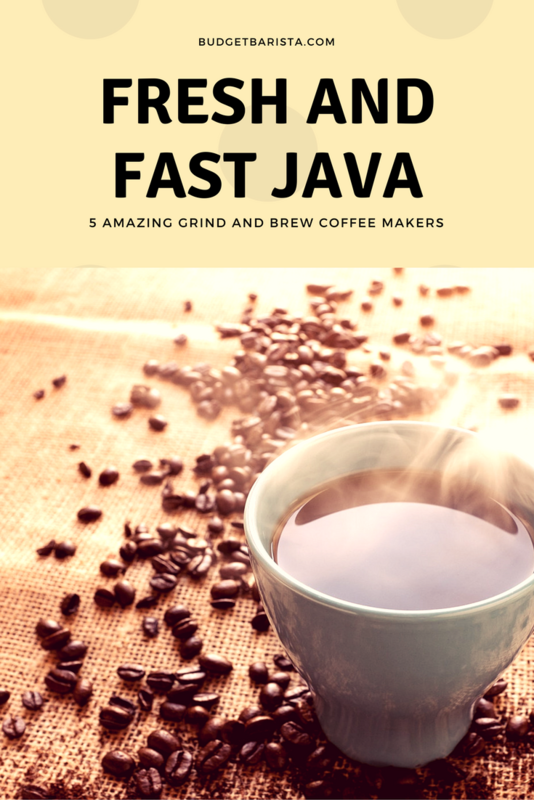 The Ninja Coffee Bar is a good choice for people looking for a more cost-effective brewing method that allows them to brew large quantities of coffee. That being said, if you want to specialize in espresso and are intimidated by grinding your own beans or don’t have the space or need for a grinder, the Nespresso is the way to go. Nespresso capsules seem simple. But they’re actually a highly advanced smart-brewing system. They come with bar codes that many machines can read. Reading these codes results in a brew customized to the settings of your machine. On top of this, they come in a variety of settings. Some capsules will make 1.3 ounce espressos, whereas others will make larger Lungos. Combining this with the settings on your machine will let you brew a cup of coffee exactly to your liking. 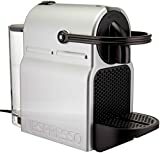 Aeroccino is the brand name for the milk frothers that come with Nespresso machines. 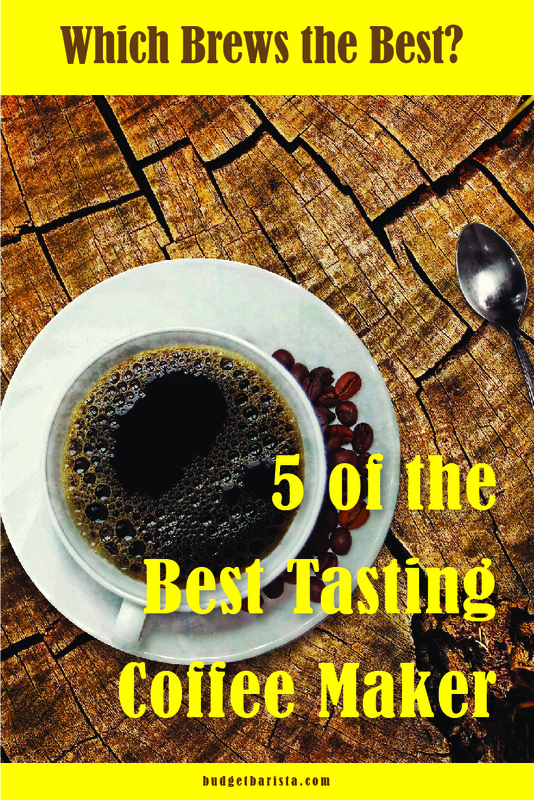 Most machines offer them for extra, and they offer several distinct advantages for home-coffee brewers. The machine boasts the ability to froth milk in seconds with the push of a button. While most home-brewers will love this, more serious baristas will bemoan the lack of control given by the Aeroccino. That being said, you don’t need an Aeroccino brewer (or any milk frother) to make a basic Latte or Cappuccino. To froth milk and foam manually, put lowfat milk in a mason jar, shake it vigorously, and put it in the microwave for 15 seconds. Can I Use K-Cups In My Nespresso? K-Cups and Nespresso pods differ in both size and content. Because of this, you definitely won’t be able to fit a K-cup in your Nespresso machine. However, many Nespresso machines allow you to create a regular cup of coffee using Nespresso coffee pods. On top of this, you can make a Cafe Americano using an espresso pod. Most Nespresso Grand Cru pods are better than K-Cups because of the brewing set-up in a Nespresso machine.The prices of both are fairly similar, and the coffee you get out of a Nespresso pod is far superior. While filled Nespresso capsules are not reusable, many companies sell refillable and reusable pods for your Nespresso machine. This is also good news for coffee-lovers who want to use their beans of choice in the machine. Nespresso pods can be recycled. That being said, you’ll need to be able to find an aluminum recycling area to do this. Nespresso provides a guide for machine owners to find their best recycling zone. Which Machine Makes The Best Latte? You can use a variety of machines to make a latte. Even if your machine does not have a milk frother, you can use the mason jar method to create frothed and steamed milk. That being said, it’s better and easier to use a machine that comes with a frother. We think the Nespresso Prodigio + Milk is a great choice for this task. Can I Use It To Make A Regular Cup Of Coffee? Some Nespresso machines, such as those in the VertuoLine, can make coffee, others (particularly older models,) can only make espresso. If you want something more similar to a regular cup of coffee, try making a Cafe Americano, which is equal parts espresso and water. How Do I Make My Favorite Drink? Espresso machines are great in-part because they allow you to experiment with creative new coffee drinks. While Nespresso machines offer less creative customization than other brands, they are no exception to this rule. If your favorite drink is a latte or a cappuccino, it helps to have a milk frother attachment to your machine, though it isn’t necessary. You can make steamed and foamed milk in the microwave by adding low-fat milk to a mason jar, shaking it for thirty seconds, and putting it in the microwave for another thirty seconds. While the milk won’t have that fresh-from-the-cafe quality that you’re used to, it can allow you to make your own fun version of the drink. There are plenty of other drinks you can make with your Nespresso. Nespresso machines are a great step for people looking to make their own coffee at home. They may not be perfect, but they do offer loads of creativity and enjoyment. If you’re looking for the best budget model, you’ll love the Nespresso Inissia. A sleek machine that’s perfect for brewing espressos and lungos, coffee lovers can rejoice from gaining a more creative brewing procedure. If you’re looking to spend a little more money to get a little more bang for your buck, then you should consider the Vertuo Evoluo. It offers a milk frother, and more options including the ability to make regular coffee using the VertuoLine pods. Finally, if you want to get creative, you’ll love the Lattissima Pro. While it’s one of the most expensive models on the list, it comes with a wide range of options while remaining easy to use. No matter what you choose, you’ll be satisfied with a brewing setup that lets you venture into the world of espressos with the touch of a button. So enjoy your machine and happy brewing!